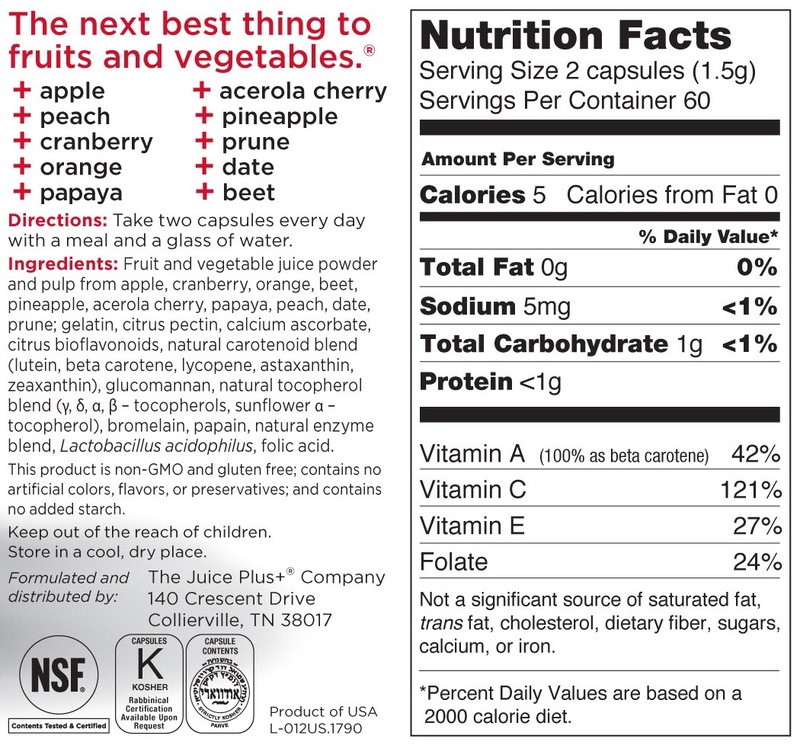 In a previous post, The Next Best Thing, I told you how I found out about Juice Plus+. I answered that hadn’t. She gave me her business card and some brochures. I studied the list of fruits and vegetables that Juice Plus+ Orchard, Garden and Vineyard Blends are comprised of and realized that it was everything I had been striving to eat enough of. 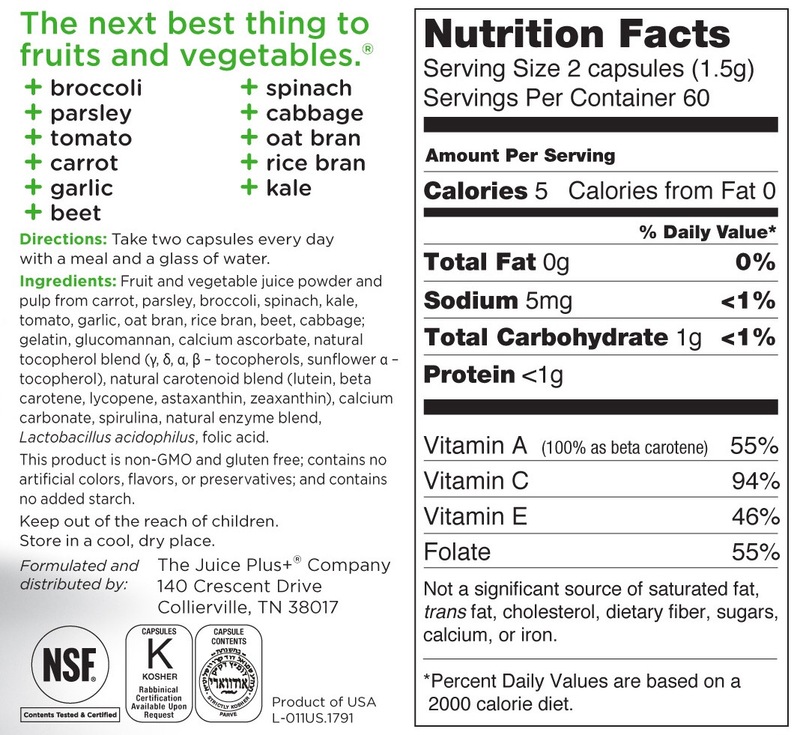 I have included the nutrition labels below (tap on each to enlarge). Note the NSF certification label. I did. Check them out HERE. Also note the Kosher certifications. Long story short, I placed an order. The Mrs and I have been taking the Orchard, Garden and Vineyard Blends for a few months now as part a healthier diet and lifestyle. 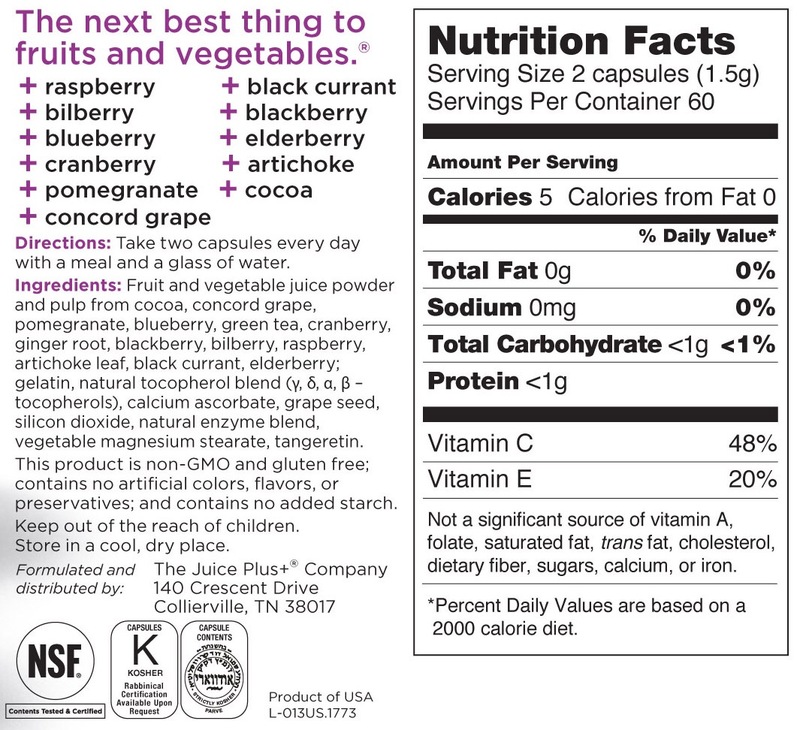 I like the ability to get a wide spectrum of fruit and vegetable micronutrients and oxidants in a convenient capsule form (they also offer chewable versions). With Juice Plus+ we actually manage to eat the fruits and vegetables we do buy. I am the original sceptic. I live by the old Russian axiom adopted by Reagan in dealing with Gorbachev – trust, but verify – so I did some additional research. The efficacy of Juice Plus+ has been documented in more than 30 Juice Plus+ research studies conducted in leading hospitals and universities around the world. But that is for another post. For now, in the spirit of a (moving) picture is worth a thousand words, I give you three short videos. Published on Dec 31, 2013 | Juice Plus+ Vice President, John Blair, shares how Juice Plus+ is made. From being picked at the peak of ripeness to the proprietary drying and encapsulation process. See it all! Published on Oct 28, 2014 | Take a look at what happens when we’re filming footage at one of our beautiful farms. Published on Apr 23, 2014 | Hear Meredith Martin, Juice Plus+ Director of Marketing Support, and Liza Pepple, Juice Plus+ Director of Supply Chain, talk parsley. Then stick around to hear Juice Plus+ growers share how they ensure good, quality produce goes into all Juice Plus+ products.